I edit the Society of IT Management’s magazine In Our View, which has previously been available to members and conference attendees. Starting with the issue published today, it is available to everyone to download. 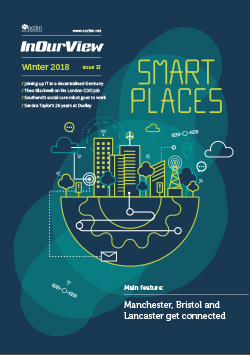 This issue includes features on smart places, focusing on Manchester, Bristol and Lancaster, and local government IT in Germany. As usual for Socitm there is a question and answer article with a senior member, in this case Sandra Taylor, head of ICT services at Dudley Council.